If you get arrested in the state of Nevada, it doesn’t mean that you will need to stay in jail until your trial concludes. You can get out on bail provided you can arrange to cover the bail amount for the offense you allegedly committed. In general, we have standard bail amounts for specific charges in Nevada. So it’s important to take note of the standard Las Vegas bail amounts for some common offenses. Just as the sentence you receive must be appropriate for the crime, the bail amount must also match the alleged crime. This is your constitutional right as expressed in the 8th Amendment regarding the prohibition of excessive bail. So if you’re arrested for drunk and disorderly conduct, the bail amount cannot be higher than the amount for getting caught with a bagful of cocaine. If you’re arrested, it’s more likely that you will be charged for a comparatively minor offense. This means you won’t have to go before a judge for a bail hearing, as the specific charges already have set amounts. However, these amounts will vary depending on where you are in Nevada. In Clark County where you can find Las Vegas, there are 3 basic categories of crimes and each category has its own bail amounts. A gross misdemeanor is a bit more serious, so you need $2,000. Felonies are the most serious of them all, and these can include drug possession. The bail can be set anywhere from $5,000 to $20,000 or even more. Kidnapping for ransom, for example, requires a bail amount of $250,000. For really serious crimes such as sexual assault, kidnapping, or attempted murder, there are no set bail amounts and the arraignment goes before a judge to determine the bail amount—if bail will even be set. Some offenses do have special rules in place. Domestic violence is one example. It’s a misdemeanor in Nevada, but the bail requirements are generally much higher. A first offense requires $3,000 for bail, while a second arrest for this same charge increases the bail amount to $5,000. All other arrests for domestic violence following a second arrest will require $15,000 for bail. If you’re arrested for domestic violence here in Nevada, you will also need to stay at least 12 hours in jail before you can be released on bail. If you’re arrested for driving under the influence of alcohol other drugs, at least you can console yourself that it’s still a misdemeanor in Nevada. However, the bail is set not at $1,000 but at $2,000 for a first offense. A second arrest for DUI gets the bail increased to $5,000. What if you cause someone serious injury or wrongful death when you were driving under the influence? If that’s the case, the bail will be set at a judge’s discretion during your arraignment. While marijuana is now legal to use in Nevada, you need to make sure you don’t use it in casinos. Casinos operate under federal laws, and the federal law prohibits the possession and use of marijuana. If you’re arrested for marijuana charges such as unlawful transportation of marijuana, the bail is set at $10,000. If the amount of marijuana is between 10 to 50 pounds, the bail increases to $30,000. It becomes $50,000 if the amount is more than 50 pounds but less than 100 pounds, and the bail goes up to $150,000 if the marijuana is more than a hundred pounds. If you’re arrested for drug possession, the standard bail is $2,500. This is also the same bail amount for being under the influence of drugs. Your bail will also be affected by your criminal history. 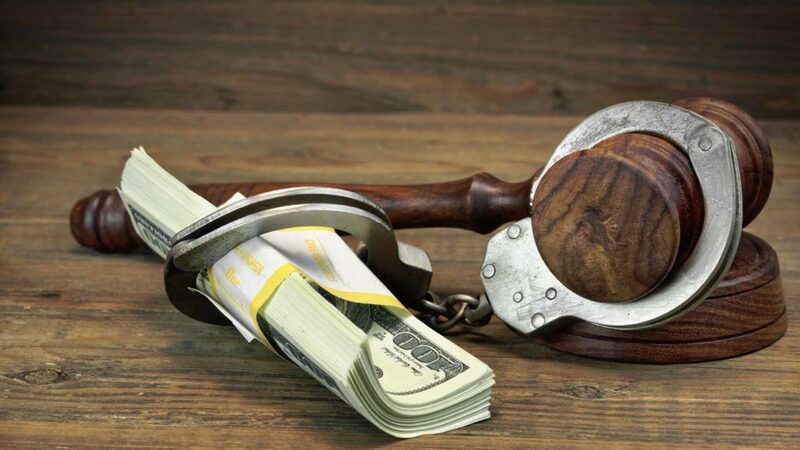 If you’ve been arrested and you already have a conviction for a serious or violent felony in your criminal record, your bail is increased by an additional $25,000. If you have 2 or more convictions for serious or violent felonies already, then even a minor charge will have the bail increased by an additional $150,000. In some cases, no bail is granted. These include charges for murder, the use of an explosive to cause mayhem, and various violent offenses caused by an inmate. If you also violate your probation requirement to appear for jail commitment, you won’t be able to post bail when you’re arrested. If you or a loved one has been arrested, we can help. We at 24/7 Las Vegas Bail Bonds can get you out of jail as quickly as possible. Call our office at 702-899-2775 now.